Get free product recommendations and mechanical seal reliability advice. We have experts in over 100 countries. The LabTecta-AX™ design uses a unique sliding rotor that allows the seal to absorb axial movement internally. With this rotor design no axial sliding movement on the shaft exists that can cause shaft damage, drive-ring damage or allow contamination to pass under the drive ‘O’ ring. The LabTecta-AX™ provides superior reliability by utilizing double drive rings to provide a secure grip on the shaft, reducing the chance of shaft slip and a dual-rotor design with a secure drivelock to ensure both rotors continuously follow the shaft. 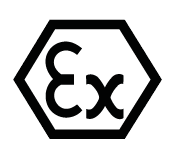 The LabTecta® is the first range of bearing protection products to be certified to the latest harmonised EN Standards, which adds to the growing list of ATEX certified products from AESSEAL®.